As you know by now, I absolutely love accessories! 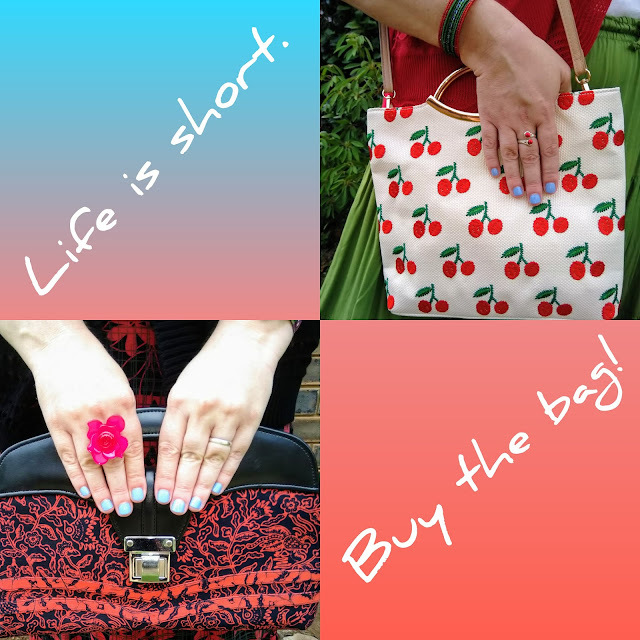 Shoes, jewellery and bags! They are my top three! 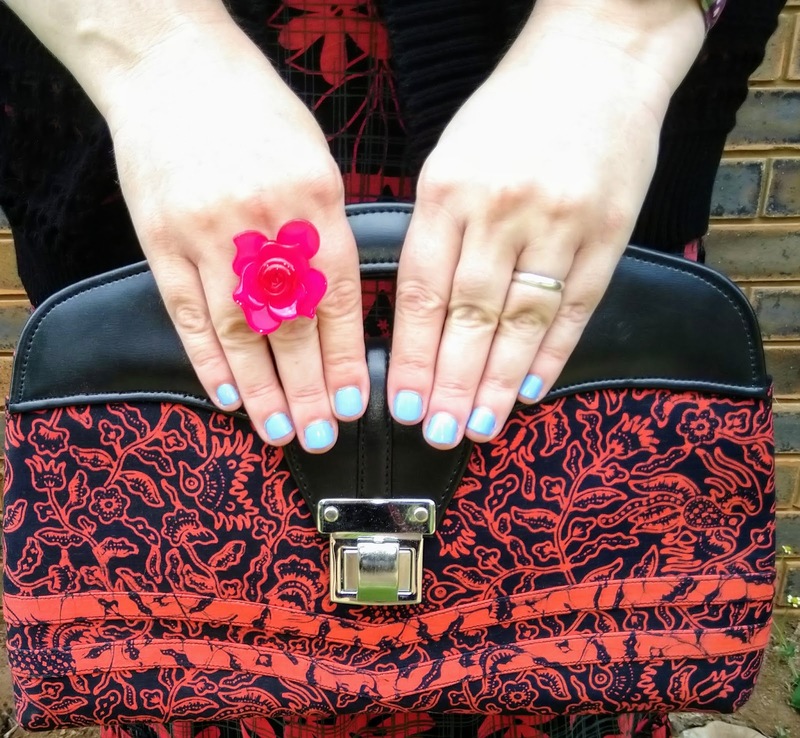 Nothing makes an outfit more unique and fun to wear than the addition of some quirky and cool accessories! 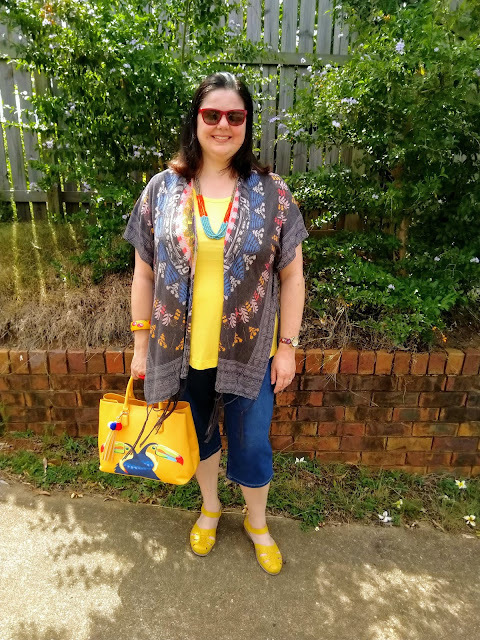 When I am having one of those mornings staring into my wardrobe thinking that I have absolutely nothing to wear, I turn to my accessories for inspiration! The colours, patterns and styles of my fave accessories never fail to provide the necessary inspiration to create new outfits from my exisiting wardrobe. 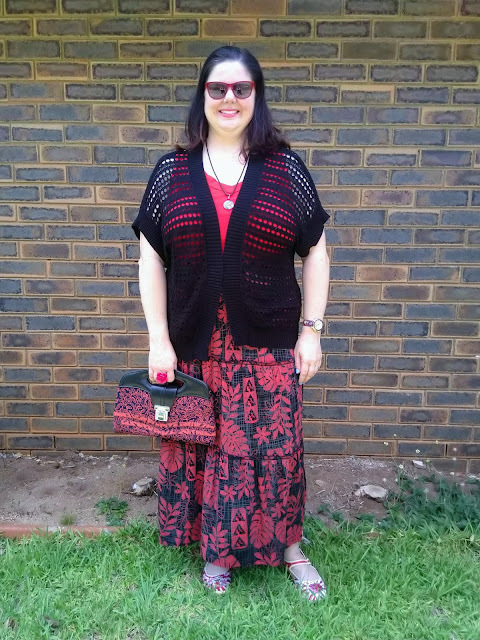 Today I thought I'd share some of my recently worn outfits that all have one thing in common. They were all inspired by fun and colourful bags! This bag is a recent purchase that I bought on sale. 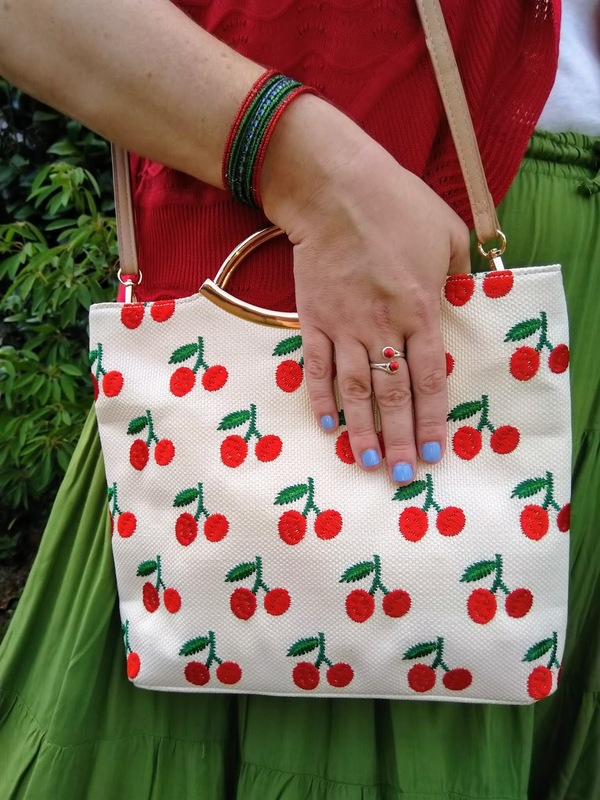 I just had to get it, as I do have a bit of a thing for cherries! I have a cherry necklace, earrings and shoes, so I was definitely overdue for a cherry bag! I love this one! 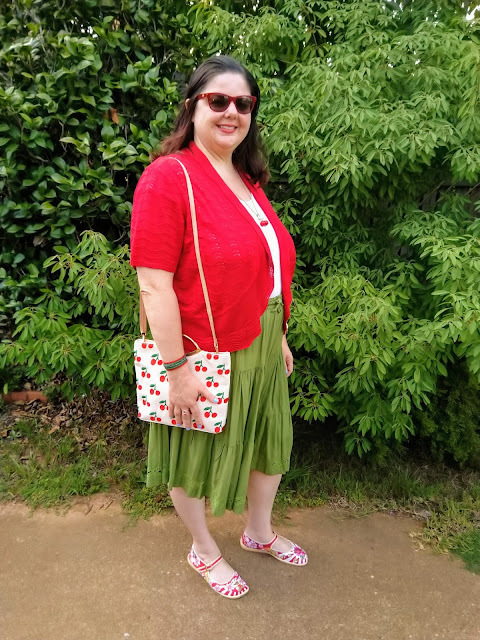 I decided to take direct inspiration from this bag by wearing block colours in red and green. 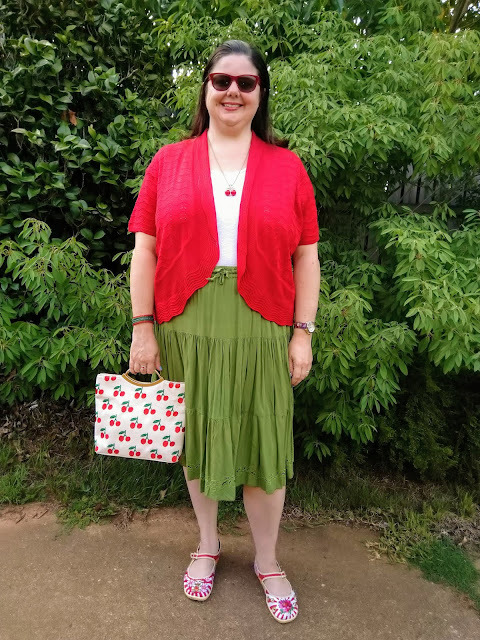 I also added my cherry necklace and other red and green accessories. 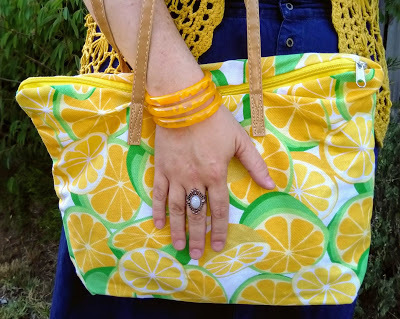 I had a lot of fun creating this outfit around this fabulous, summery bag! I started with my yellow top and blue denim crops as a base, just like the colours of the bag. 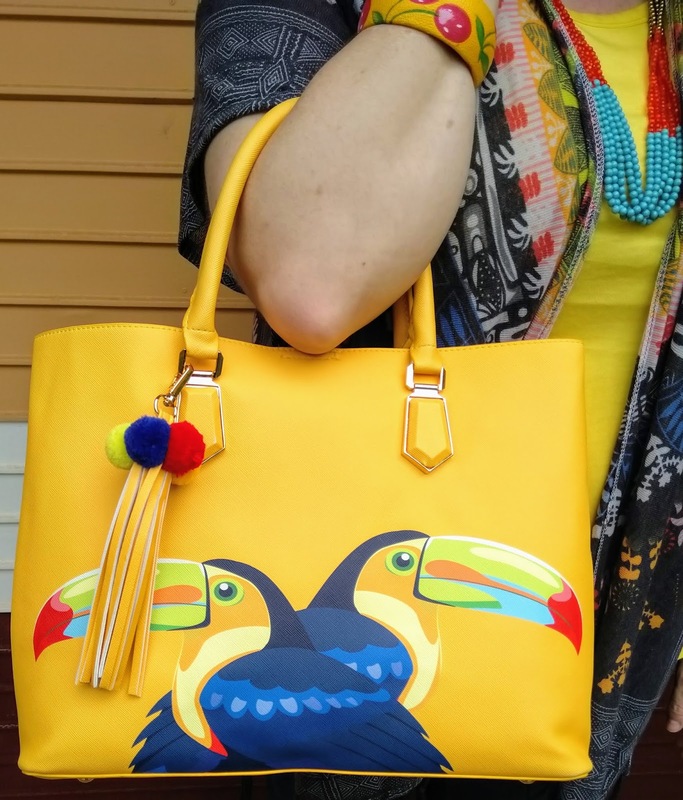 Then I added my colourful kimono, which features colours from the toucans' beaks and feathers. Then I added more complementary coloured accessories to add the finishing touches! 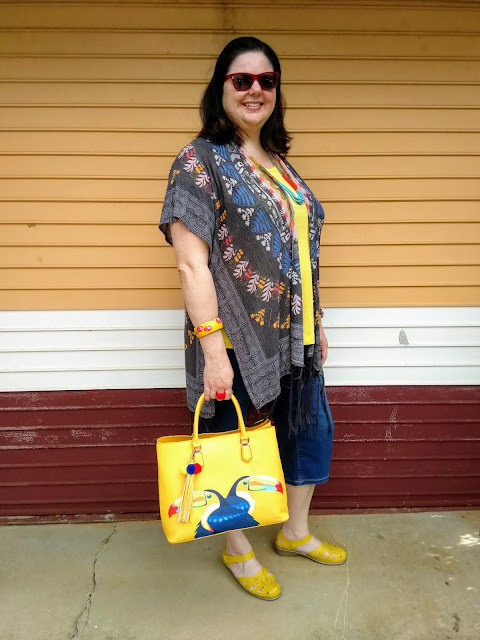 This was also a new buy earlier this summer and I love its zesty and fun print! 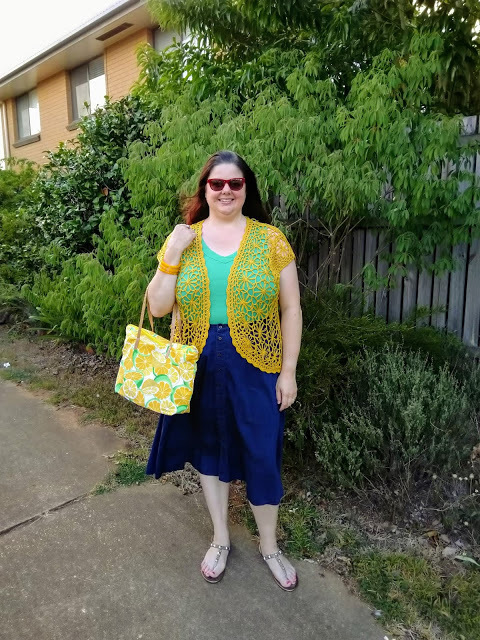 Creating this outfit was a no-brainer! 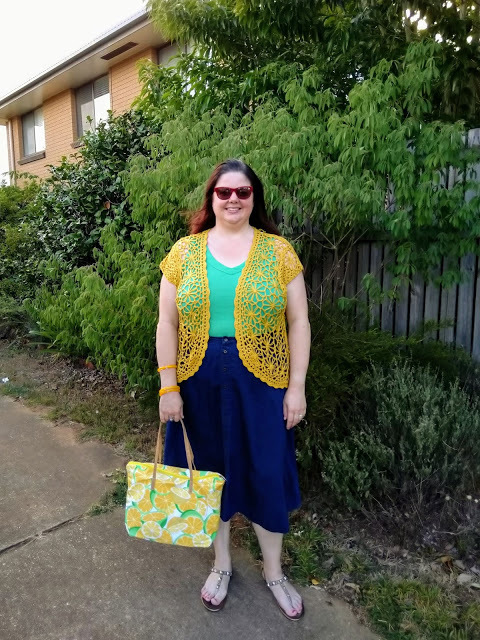 I just paired green and gold together to create a citrus inspired summery outfit! These are all cute bags and outfits! 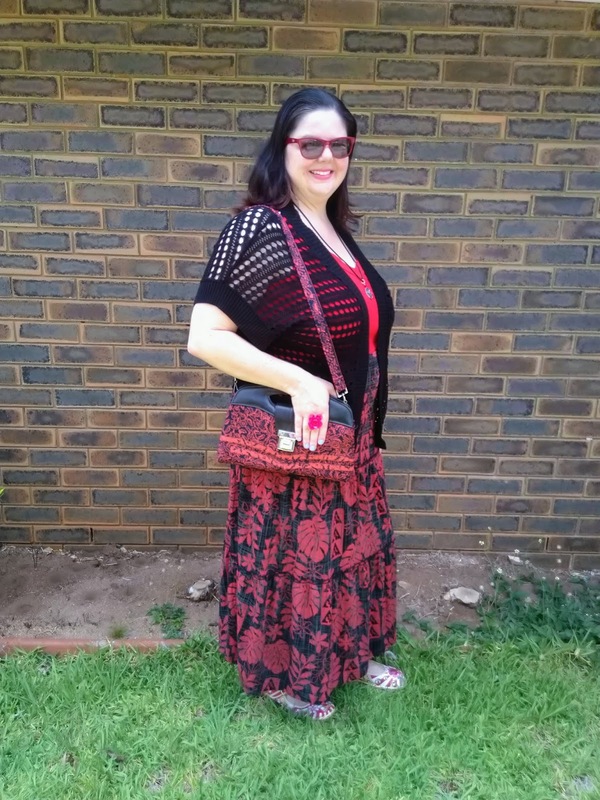 That red and black clutch bag is a fantastic find. Love the unique print. You have such a wonderful collection of bags..